Children possess a certain special type of imagination that isn't confined to the human laws of physics or logic. With this ability, kids can create worlds that seem just as feasible as reality but are entirely make-believe (according to non-believers). This fascinates London playwright J.M. Barrie — played by Jeff Sullivan — and after a fateful encounter with four young boys and their widowed mother, he sets off to write a magical musical that will put high-society theatergoers in a youthful spirit. Finding Neverland follows Barrie as he takes a risk in the theater community with his mystifying show. The musical "captures the kid-as-heart," says TIME Magazine and NPR raves about the "best musical of the year." 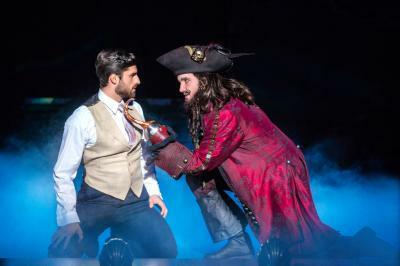 This month, Broadway in Erie brings Barrie's play and the story about how Peter Pan began in Neverland to Erie audiences. The two-and-a-half hour show is directed by Diane Paulus, winner of Tony Awards for Hair and Pippin, and has attained such popularity as to have an Academy Award-winning film based on it.